We partied like it was 1398! La Vue Guest Lodge in Muldersdrift set the scene for some Medieval magic, as festival goers of all ages embarked on a trip back in time. A time where gallant knights battled for the hands of fair maidens, dragons roamed freely, warriors fought for the highest honours and peasants and royalty mingled among the market space. 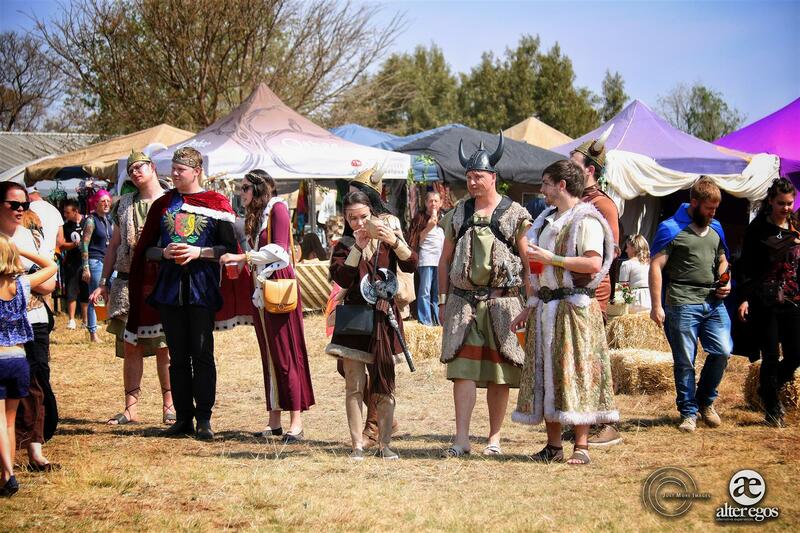 We avoided the black plague and muddy conditions and instead enjoyed the festivities under a beautiful South African spring sky. With the sound of hoof beats (both of the coconut and real variety) ringing through the air, we danced, we sang, we quizzed, we quested. Mead, ale, turkey legs and meat on the bone were the staples of the day, with magickal potions adding an extra kick. Arrows were shot, tomatoes were thrown and insults were hurled – but all in good fun, embracing the madness of the day. The 7th Annual Medieval Fayre was a joyous occasion. A celebration of history, rivalry, friendships and ‘the good ole days’.